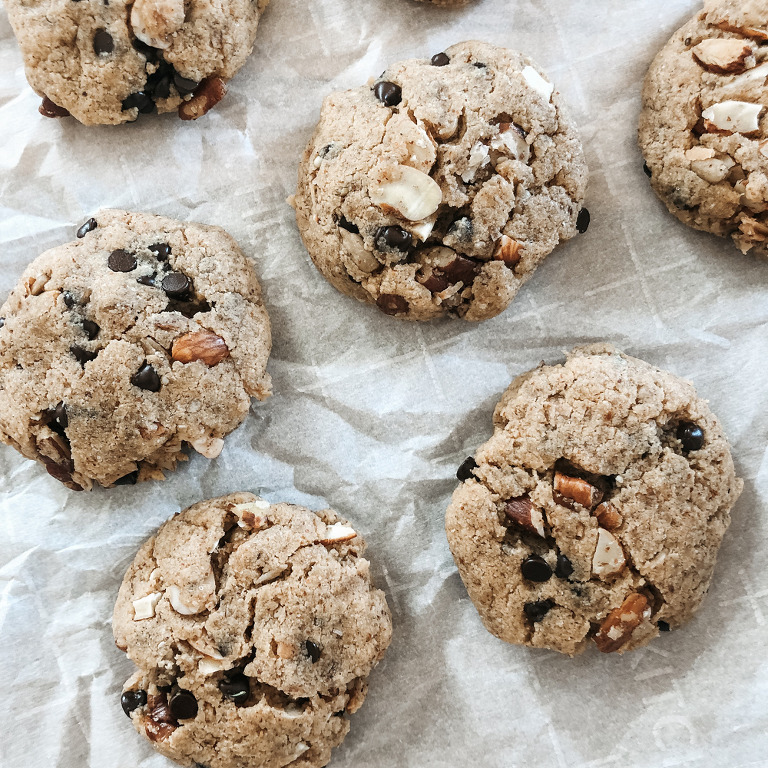 I was making cookies one day and also a batch of granola and I stood there staring at both and then it hit me….what if I mixed the cookie dough with the granola to make a crunchy cookie? Holy smokes! I like these a hundred times better than just the chocolate chip cookies, and I LOVE the cookies as is. It’s *almost* like having an oatmeal cookie because the texture is different, but none of the high glycemic ingredients. Mix cookie 2 parts cookie dough and 1 part granola, form into balls, place on baking sheet, gently flatten, and bake at 350 for 8-10 min.